Paris Saint-Germain kept their perfect start to the season going on Sunday, but the 2-0 win over Lyon also laid bare certain tensions in their all-star front line. “The penalties are taken by a couple of players, one is Cavani and the other is Neymar. 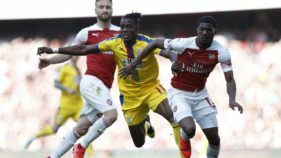 There needs to be a gentleman’s agreement on the pitch to decide who takes the penalties,” coach Unai Emery admitted later. 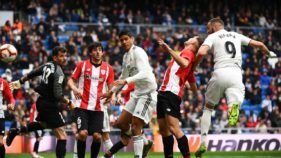 Earlier in Sunday’s game, the duo disagreed over who should take a free-kick with the match still goalless. Dani Alves intervened to give his compatriot the ball on that occasion, and Neymar’s strike was saved. “They are two great players. They want to score goals. There are no problems between them, everything is fine,” insisted PSG defender Presnel Kimpembe. Most coaches would envy the embarrassment of riches at Emery’s disposal. 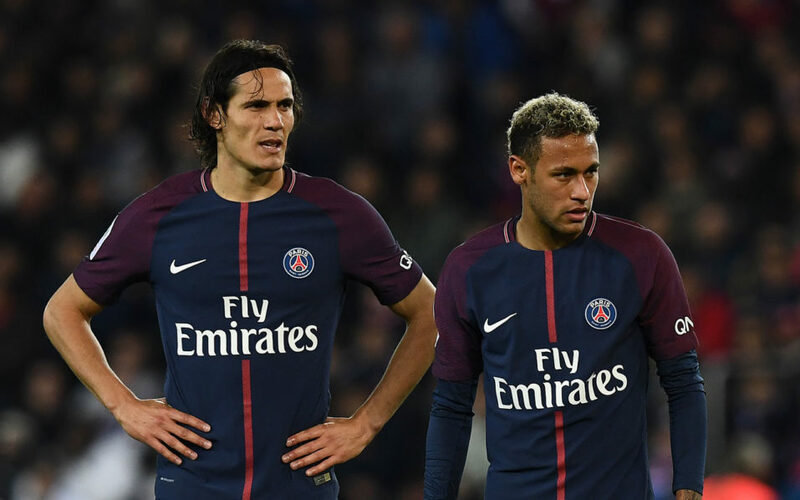 The ‘MCN’ front line of Mbappe, Cavani and Neymar has cost the capital club 466 million euros ($557 million, £411 million) but now the coach has to somehow keep them all happy. And 222 million-euro man Neymar has come to Paris to be the main man after spending four years in Lionel Messi’s shadow at Barcelona. “This victory has exposed tensions between Neymar and Cavani,” said sports daily L’Equipe on its front page on Monday. 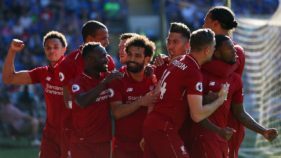 The ‘MCN’ scored eight goals between them in their first two matches together against Metz (5-1) and Celtic (5-0), but Sunday was less encouraging. Cavani saw very little of the ball, while Neymar and Mbappe were relatively subdued, even if they combined to force PSG’s second on the night, a Jeremy Morel own goal. Julian Draxler, a 40 million-euro signing from Wolfsburg in January, was also shoehorned into the team on Sunday but overloading the side with attacking stars is to the detriment of the overall balance. PSG have not slipped up yet, but Sunday’s game showed that Emery has plenty on his plate.